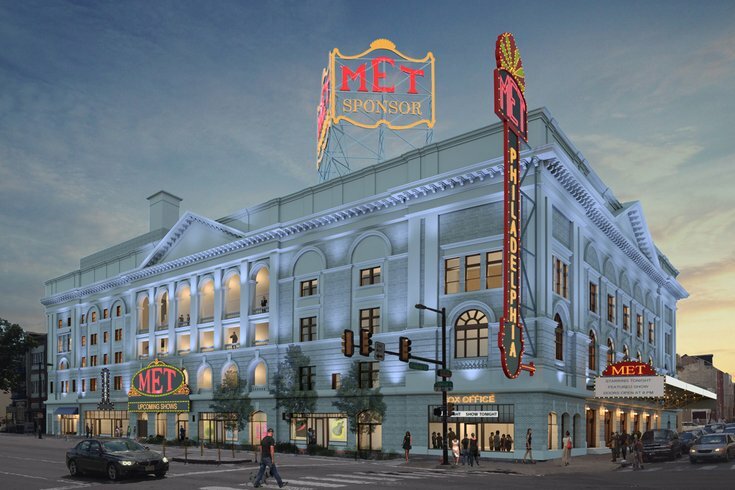 In line with the development projects populating North Broad Street, the Philadelphia Metropolitan Opera House – rebranded the Met Philadelphia – is slated to reopen this December after decades of vacancy and disrepair. Though the video reveals no shots of what the completed space will look like, we get a preview of all the construction being done to breath new life into the dilapidated space at 858 N. Broad street. Take a look at the full clip, published on the Met Philadelphia’s new website, below. Late last year the Met Philadelphia – which takes up most of a city block at Broad and Poplar Streets – secured a $56 million loan to move development plans forward and aim for a December 2018 opening. The historic theater, originally built in 1908 by Oscar Hammerstein I, will reopen as a Live Nation venue with a 3,500-person capacity. The restoration is in partnership with builder Eric Blumenfeld, Holy Ghost Headquarters, and Live Nation.